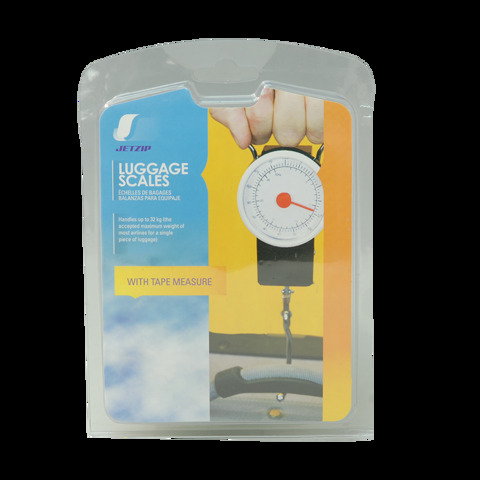 Luggage Scale Up To 32Kg. Weighs Up To 32kg l 1m Tape Measure. White Face With Red Needle l Black Handle With Chrome Hook l White Tape with Black Print. Metal l Plastic. 0 Packaging: Double Blister Card with Insert.